When I am not in the field hunting, I work long hours in the office much of which is spent answering tons of emails&apos;¦.and occasionally I need a little humor to get through a day. Since I am the editor of a national magazine, I get on many PR agencies mailing lists — this usually means manufacturers wanting my readers aware of a new product. 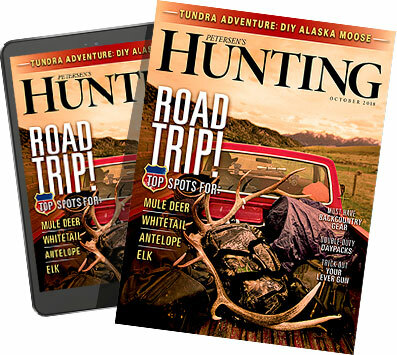 If it is something that I think you, the hard-core HUNTING reader, would be interested in, I'll check it out and report on it. However, at this time of year I often the general interest "Christmas Gift Guide" mass emails from agencies. These products can be anything from new dress socks to Velcro wallets&apos;¦obviously these PR agencies just mass email all editors of any magazine regardless of magazine subject content&apos;¦.I can't blame them for trying, but they get ignored. But occasionally I run into a PR person that is so clueless as to what we do as hunters that I have to have some fun with them. Such was the case when I got this Press Release promoting Disney DVD titles. Can you think of another company that has done more to anthropomorphize animals and subvert the hunting culture than Disney? I can't, so I thought I would have a little fun with them&apos;¦I really had no idea it would last as long as it did. &apos;¢ The Lion King: Diamond Edition --The King Has Returned. Embark on an extraordinary coming-of-age adventure as Simba, a lion cub who cannot wait to be king, searches for his destiny in the great "Circle of Life." You will be thrilled by the breathtaking animation, unforgettable Academy Award-winning music, and timeless story. The king of all animated films reigns on Disney Blu-ray 3D: magic in a new dimension! Thanks for your consideration in your November/December books -- I have art and more information ready to send if there's interest. Hi Beth, thank you so much! This sounds fantastic — we will be sure to mention the entire collection in our upcoming holiday gift guide since Disney has been such a fantastic supporter of Hunting. Thanks for including us! How wonderful — thanks so much, Mike! Please let me know what you need in the way of art, info, etc as your deadline approaches and I'll make sure you have everything you need. Much appreciated! Actually, you made it just in time. My deadline is today. Can you please send me all the high res art, detailed press release info etc. thank you. You got it — attached is the artwork for the complete Pirates set as well as the press release which should have all the info you need, but just let me know if you have any questions and I'll get you whatever answers you need before the end of the day. Thanks — do you have a different angle for the image? I also attached the Lion King and Nightmare Before Christmas 3D art/info here for you. The lion king is perfect, however do you have it in a higher res, need it 300 dpi at about 8 x 10 print size? Okay here's a link to the Lion King art in 300 dpi...it's not 8 x 10, however (I think it's more like 6 x 8)...hopefully that works? This is great — thank you. We are running a feature article on HUNTING African lions and elephants in our December issue and this will make a good sidebar illustration — thanks. Hey Mike — Now that we're at the end of the month I just wanted to circle back to you to see if you were indeed able to include all three of the titles (Pirates, Lion King, Nightmare Before Christmas) that I pitched you or if you only had space for one or two of the titles. I definitely want to include your outlet in my pre-report to let Disney know what you're covering for us and I thought I'd better clarify with you before I tell them exactly what you're covering. No problem Beth — thanks for circling back. Actually I will be mentioning the Lion King w/ the DVD box photo as a recommended movie to watch with the kids before heading over to Africa on Safari. Kids love elephants! Here is a lead shot from the story we will be running. We may have an opportunity for a Bambi mention next fall. Stay in touch. NOTE: I OMITTED THE FULL NAME AND AGENCY NAME TO AVOID A LAWSUIT, BUT IT SHOULD BE OBVIOUS THEY ARE FROM BURBANK, CA&apos;¦I WONDER IF THEY THOUGHT THE ELEPHANT WAS JUST SLEEPING?